After months of press releases announcing his suspension, then his statement, then the denial of his appeal by the FIM, then another statement, and finally his reinstatement, James Stewart is back to what he knows best: racing. Red Bull Straight Rhythm was Stewart's last race last year, and he won it, before the FIM handed down a retroactive suspension in December spanning sixteen months after he tested positive test for a banned substance following the Seattle Supercross in April 2014. Stewart has been relatively quiet since talking with our own Steve Matthes in April, keeping his messages confined to his personal social media accounts. This weekend may not tell us much about Stewart heading into 2016, but it will be good to see the Bubba Scrub back in action for the first time in a little over a year. When we last saw Ryan Dungey, he put the final touches on a historic season—winning both the AMA Supercross and Motocross 450 titles in the same season for the second time in his career and first since his rookie season in 2010. Dungey opted not to race Straight Rhythm last year, and while some think this isn't the type of race Dungey will excel at—it takes away his fitness, corner speed, and the like—it's hard to count out the champ. 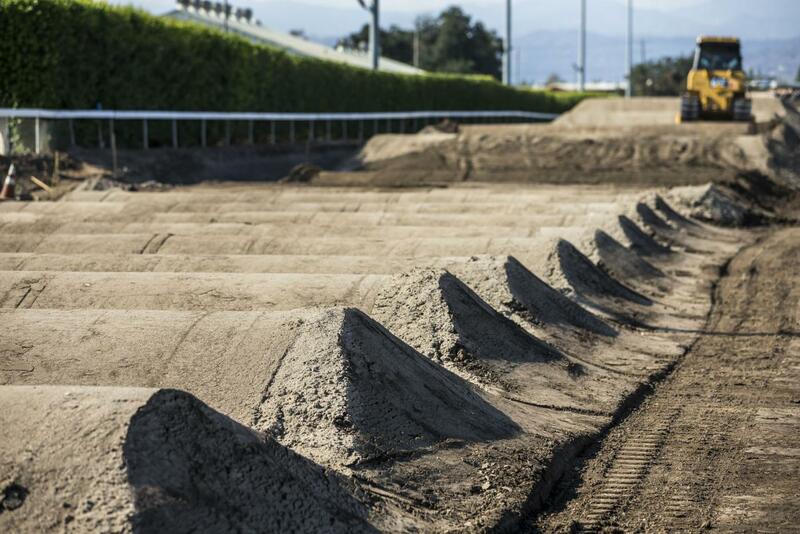 "I'm used to racing supercross with turns, and this is just a straight line with obstacles. You stand at one side and look down the other way and you’re like, 'Wow,'" he said in a recent Red Bull video. Dungey, not know for the edge-of-your-seat sprints in recent years, has turned the corner a bit this year, qualifying fastest four times in Monster Energy Supercross and five times in Lucas Oil Pro Motocross. Red Bull folks also say he was very, very fast when they ran a test event back in 2013. Win or lose, it will be interesting to see Roczen or Stewart versus Dungey at some point. After signing with RCH/Soaring Eagle/Jimmy John's Suzuki on October 1 last year, Ken Roczen didn't have enough time to get acclimated to his new machine before last year's event, which took place on October 4, so he opted to not race. Roczen's up and down first season back with Suzuki ended on a high note, as he won his the final moto of Lucas Oil Pro Motocross at Ironman in Crawfordsville, Indiana. Immediately after the season finale, Roczen underwent back surgery to "melt the fracture to attach the bone again," but has been back on the bike riding in his native Germany, according to his social media posts. On the outside, Roczen appears to be fully recovered following surgery and will make his first appearance at the event this year—how will he fare? A year ago, Malcolm Stewart took his older brother James to the wire in the Open Class semifinal. James didn't lose a race during the entire event last year, but was pushed to the brink by Malcolm in the semifinal. Unfortunately we won't see the brothers square off again this year, as they are riding different classes (James, Open; Malcolm, Lites). Malcolm was arguably the fastest rider not named James at this event last year. Will the brothers claim both championships on Saturday? Check out James and Malcolm at last year's event. Last July, following a fourteen-year career, which included three titles (2004 and 2005 AMA West Region Lites Supercross, and 2005 AMA Lites Motocross) and being a part of three winning USA Motocross of Nations teams (2005, 2006, and 2009), Ivan Tedesco announced his retirement from professional racing. Tedesco transitioned into a test rider role with RCH Suzuki, helping the team with its weekly preparations. This weekend, Hot Sauce returns to race the Red Bull Straight Rhythm event, alongside RCH rider Ken Roczen. "I've been doing a lot of supercross riding over the last few months, testing with the RCH crew, and this event last year looked like a lot of fun," explained Tedesco in a statement. "So, I put in a call to see if there were any spots left. As far as expectations go, I don't really have any. It's been a long time since I've been on a start gate, but I just want to have fun with it and try and make some close racing happen." 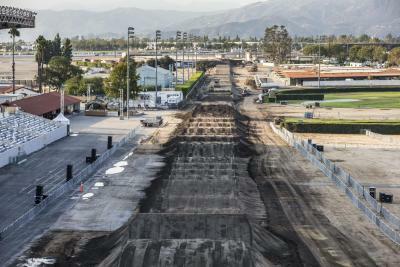 Last year, retired riders like Travis Pastrana and Grant Langston showed they could compete effectively at this event. How will Tedesco do in his return? 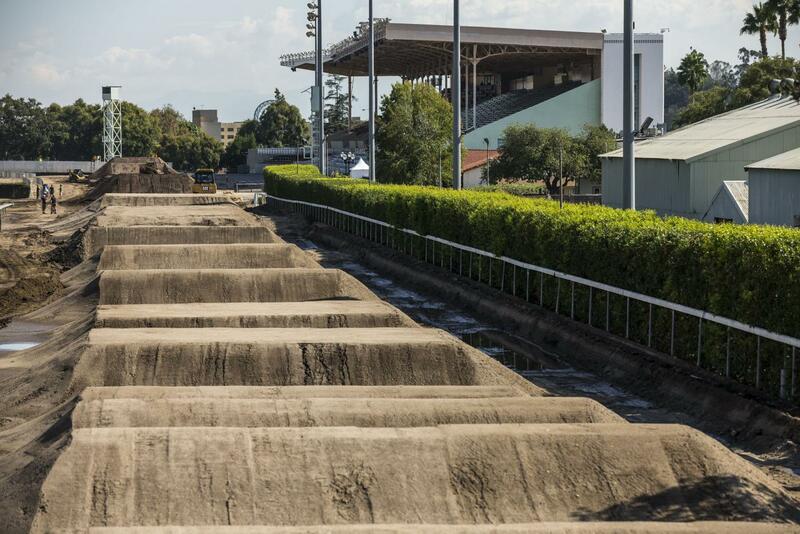 Red Bull Straight Rhythm brings a unique format to moto, in which riders (250 and 450 separate) will square off head to head in a best-two-of-three format. Each class (Lites and Open) will have two practice sessions (Friday and Saturday), with three runs at the end of practice Friday being timed, which will determine seeds for Saturday. Unlike last year, which featured a 16-rider field, the Lites Class (250) will only have an eight-rider final on Saturday. A ten-rider qualifier today will determine the eight riders. In the Open Class (450), the 16 riders will square off in a head-to-head format with the winner of best two of three advancing to the quarterfinals, then the semifinals, and finals. Also of note: the higher seed will have his choice of which side of the track he wants to run first, but lanes then alternate for runs two and three. Each class (Lites and Open) will have a respective winner, and there will also be a race for third between the two riders eliminated in the semis. The one bright spot in Justin Brayton's first year with BTOSports.com KTM came at this very event a season ago, where he finished second to James Stewart in the final. While his laid-back style doesn't scream supercross, Brayton is actually more suited for this event than outdoors, much of which can be credited to his amateur career in Iowa, where he adapted to a lot of unique tracks and races. "I believe it's because, growing up in Iowa, I did a lot of fair races. It was always tighter tracks," he said in an interview with Racer X earlier this week. "It was always technical stuff. 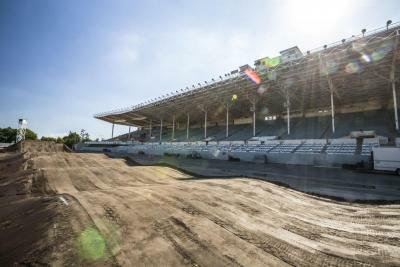 When you're at a backyard track in Iowa, it's not like the track builder is Dirt Wurx or anyone who builds tracks every week." Also, remember that Brayton was primarily an arenacross racer before stepping into supercross. While his first year with BTOSports.com KTM was hampered by injuries, Brayton has proven he enjoys this kind of racing and track. Can he get back into the final again? When we spoke with Jason Baker of Dream Traxx earlier this week, the designer of the Red Bull Straight Rhythm course was clear that the track would look different from a year ago, "You'll be able to tell it's the 2015 track versus the 2014 track as soon as you glance at it." Judging by the early pictures below, the track looks much different from the inaugural race. Baker, who works with a number of riders and teams, also said safety is their number-one priority for the event. "I think that's the true challenge—making it technical enough to be a good race but also letting them carry some speed, but not doing too much of either," he said. Another change this year will be the start, which will feature fourteen feet of elevation before riders drop down over a gap to get back to the ground. Also, look for a different ending, as riders will face a rhythm-lane-option section before the finish, as opposed to whoops a year ago. If there is such a thing as momentum, it's hard to fathom anyone entering the Lites Class with more pep in his step than Jessy Nelson. When we last saw Nelson, he was carving the hills of Glen Helen en route to a 1-1 finish at the MXGP of USA. Yes, that was motocross and this is, well…. Supercross-ey, but remember, a year ago, Nelson finished third in the event behind KTM counterparts Marvin Musquin and Justin Hill. Challenges from Hill and Stewart (Malcolm) surely await, as does teammate Shane McElrath (also fast at Glen Helen) and the GEICO Honda trio of RJ Hampshire, Jordon Smith, and Matt Bisceglia, but, Nelson, riding that wave of "momentum" from a month ago, has to be considered among the favorites Saturday. If it seems Mike Alessi has raced in just about every series in 2015, it's because he has. Alessi and the Smartop/MotoConcepts team began in Monster Energy Supercross, hit a round of the CMRC Rockstar Energy Canadian Nationals, ventured across the pond to Europe for a couple rounds of the FIM World Motocross Championship, returned to race in Lucas Oil Pro Motocross, raced the Edge of Summer race at Soaring Eagle Casino, and, exhale, finally competed in the Transworld Slam a few weeks back. Now, Alessi, along with teammate Vince Friese, will try and conquer another form of racing—Straight Rhythm. While Alessi doesn't seem like a favorite for the event (those pesky whoops may be a problem), he is sure to get out of the gate quickly and maybe hold on for a few wins. What’s in store for Alessi at his first Straight Rhythm event?